Looking for an impressive Sony projector that will astonish your employer and friends and family alike? 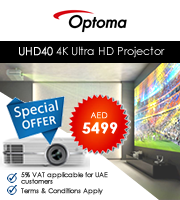 Then your search for the perfect brand of projector ends here. Our online site, Projector Square has the best range of Sony Projectors that are fresh and latest in the market. Sony Projectors are worth every penny of your hard earned money with its incomparable features such as absolutely wonderful graphics and world-class resolution. Unlike its competitors, Sony has been on the market for long and has gained the public's unbreakable trust. Unlike in the offline markets, we do not deal with any kind of counterfeit products. We want the best for our customers and that is why we now deliver in and around Dubai, Abu Dhabi, UAE, Kuwait, Jeddah, Riyadh, Saudi Arabia, Muscat, Oman, Doha, and Qatar. 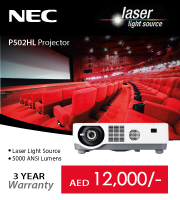 So if you are a resident of Dubai, Abu Dhabi, UAE, Kuwait, Jeddah, Riyadh, Saudi Arabia, Muscat, Oman, Doha, and Qatar, give us a call at +971 4 4327846 today to buy online Sony Projectors.